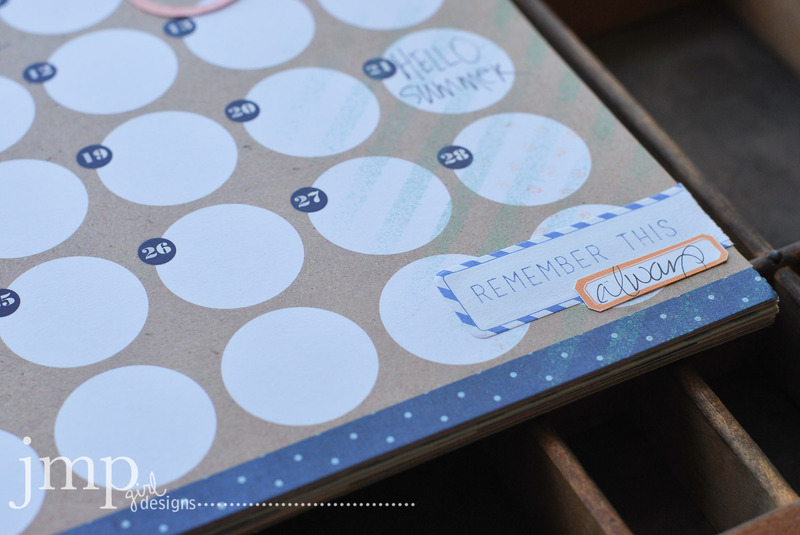 This post is part of my memory planner album posts and you can find the previous months here. 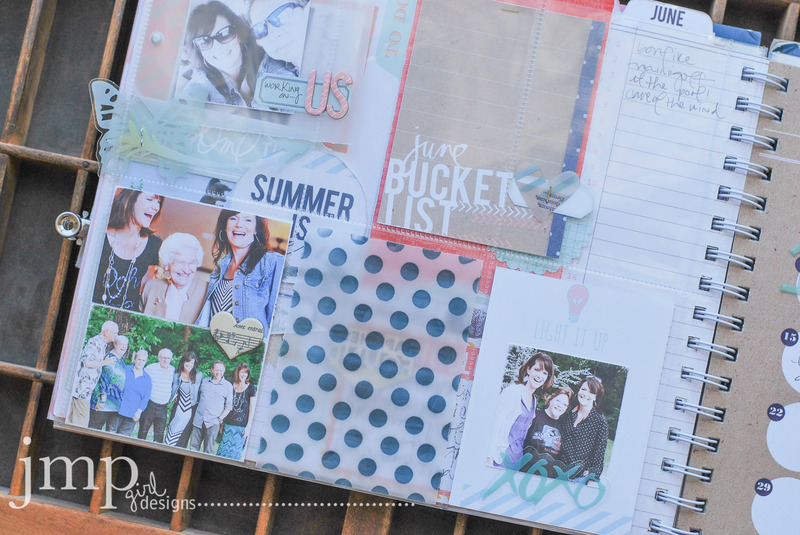 ah...welcome to june and a new edition to this album. an album that simply becomes more meaningful to me as the year continues. 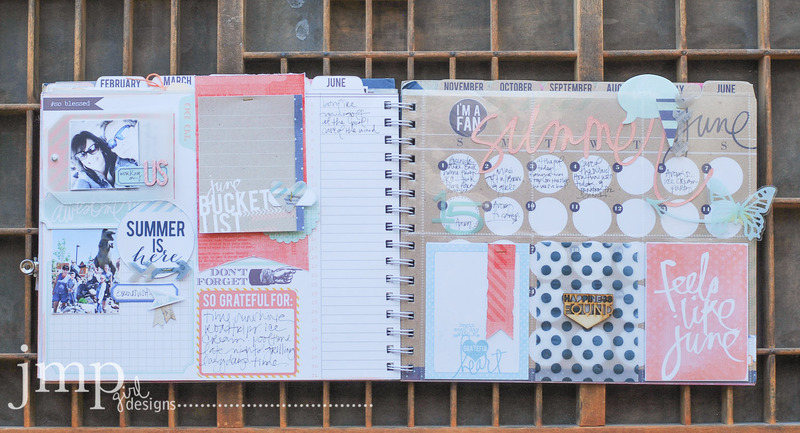 capturing #onelittlethingeveryday is so needful for me right now. and this month is sure to be as full as the past. 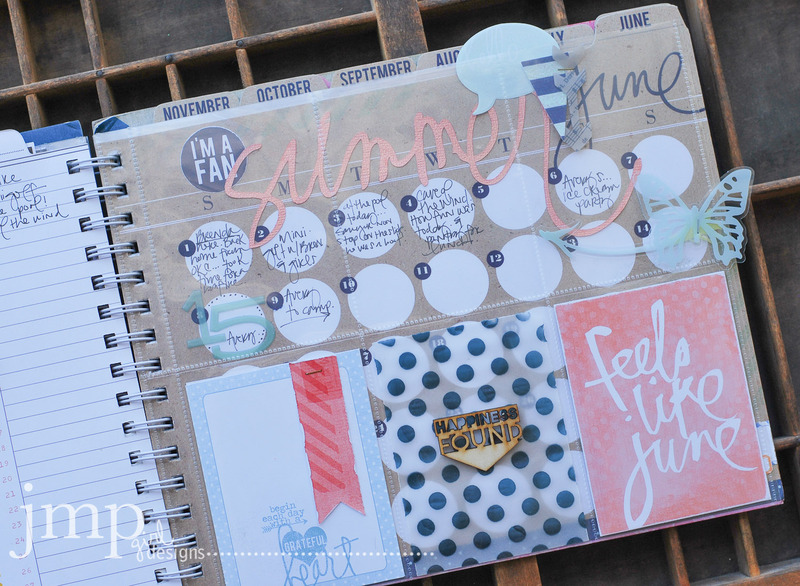 Heidi Swapp has made free printables available for this month just as she has done in the previous. 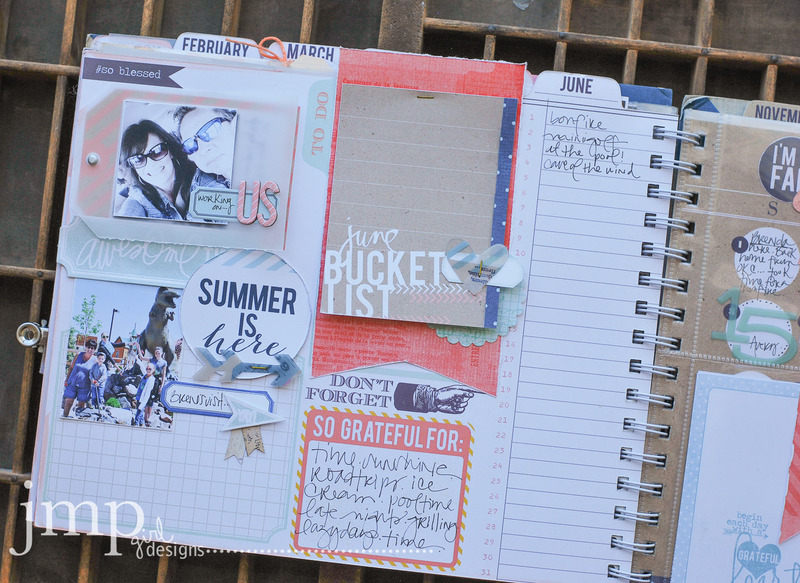 And I totally love that 'bucket list' 3x4 card. I needed a place to hold all that I wanted to do for the summer. A place that I could continue to add to as thoughts and ideas came to me. And so this became a flappable insert to the left side of my planner to hold just such a list. 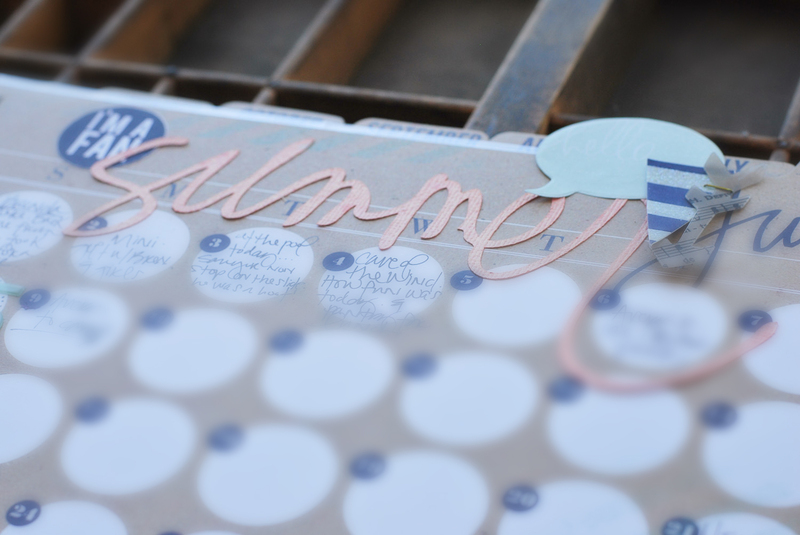 My numbered list this month will be what I call #30daysofsummerfavs. Just a list of the things we do daily that add to our summer experience. On the right side I have left the top open and see through for now. 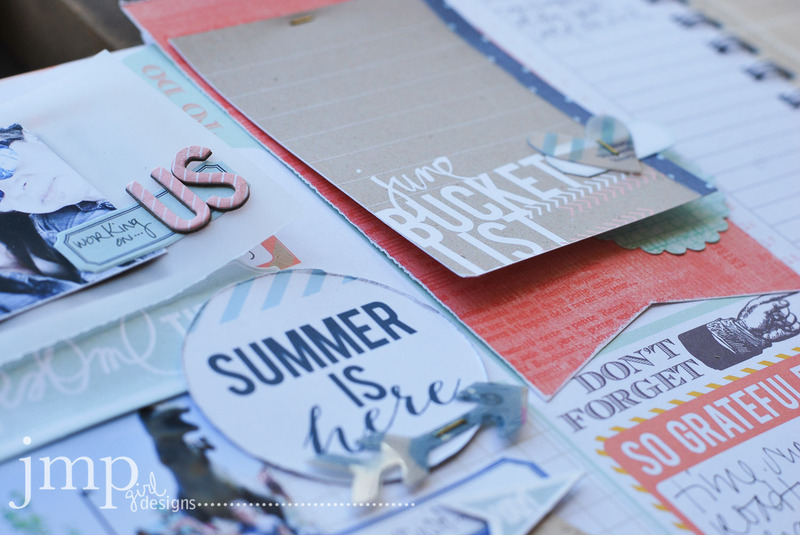 I like the 'summer' die cut to show through and make a big impact as the season changes this month. 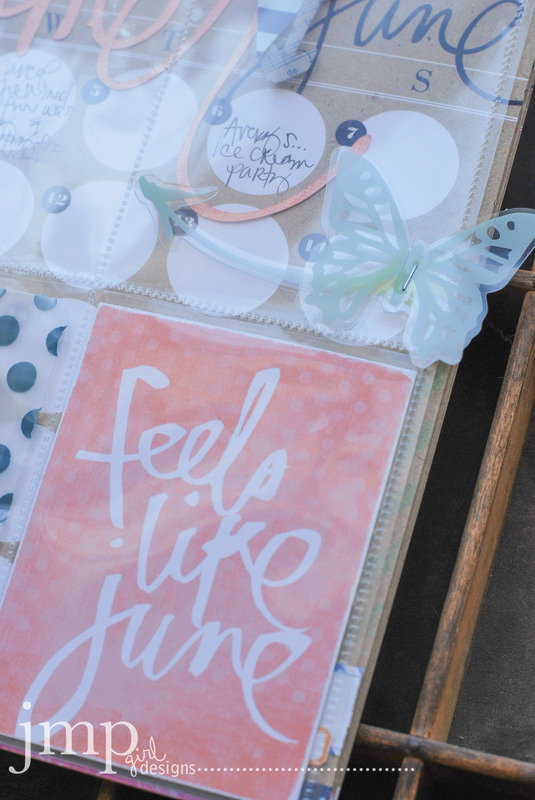 The pockets also provide a fun place to add some Dreamy Ephemera and attach it right to the page. If you follow this series at all, you know I have put out the challenge to capture my family at least once a month. This may seem like an obvious capture to some, but for this family I have found that it did not happen as much as I would have liked. So, now we are 6 for 6. I layered our family photo under some vellum just as a way to add more photos. 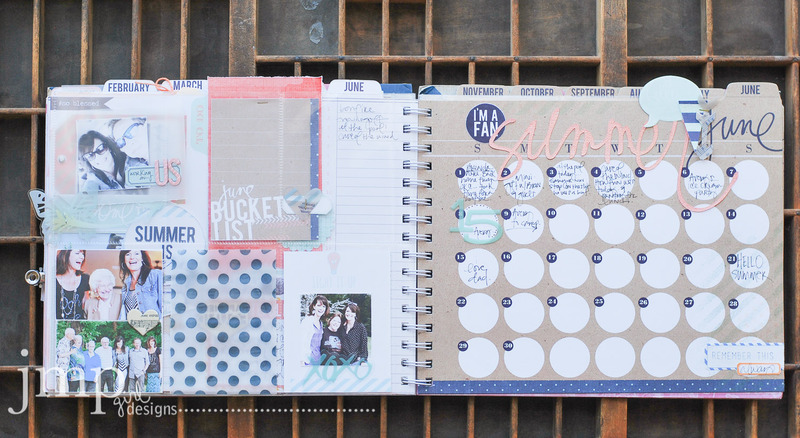 Turn the page and there are already photos added to this month as well as the opportunity to see some of the other page still. June started off immediately with a big extended family event...a 50th anniversary...and there are lots of photos and stories to tell from that weekend. Here I share just a few of my favorite. 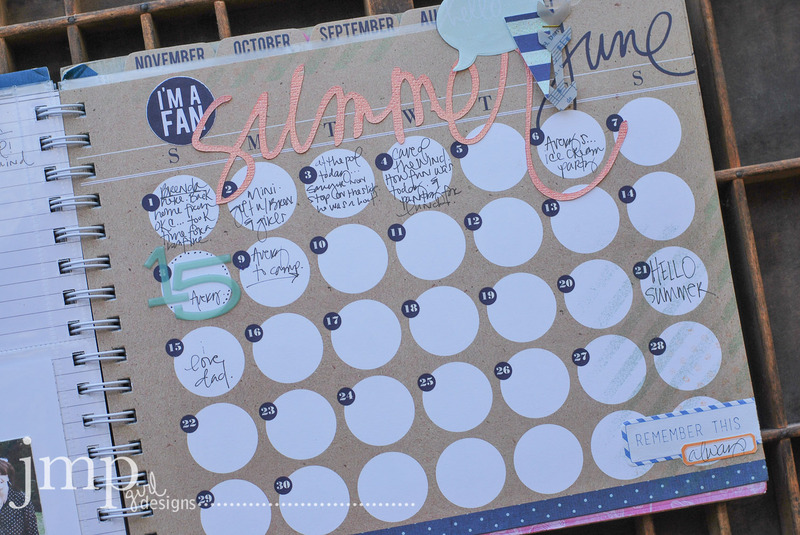 The calendar portion with very important dates like birthday, father's day, and of course the most important...the first day of summer. 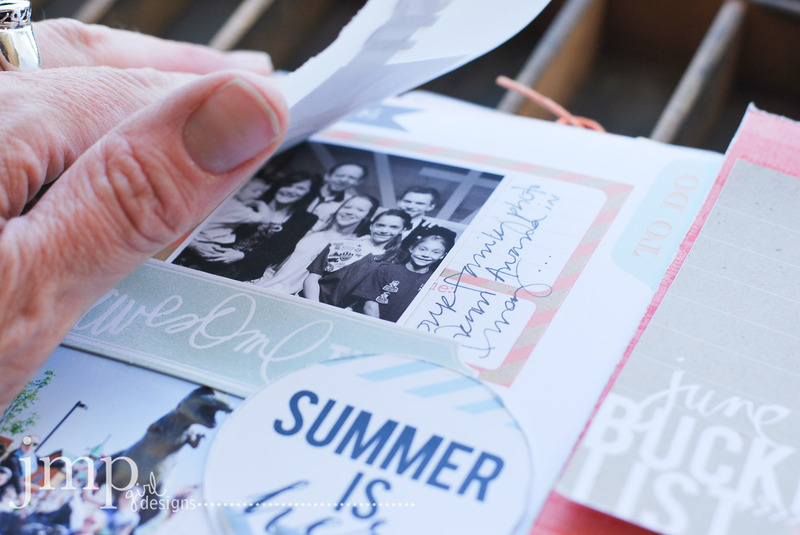 Labels, stamps, and some stenciling rounds out this page...but the entries and photos will continue as the month progresses. This album continues to inspire being mindful of the blur. Looking for those moments and little things in a day or week. Writing down #onelittlethingeveryday that only adds to this busy life is a most beautiful way to spend this summer season, and many more. This really is amazing Jamie, I am always in awe when ever I visit!!!! Always, always LOVE the way you capture and document life Jamie Dear! !